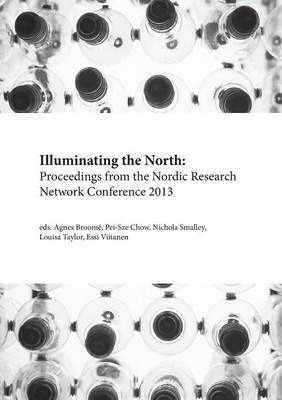 The Nordic Research Network (NRN) began as a forum for UK- based early career researchers to share their work with peers in a convivial intellectual environment. As a multi-disciplinary gathering, the regular conference provides an opportunity for scholars in all areas of Nordic research to keep up with the diverse subjects and projects being pursued by colleagues across the country. The third conference was attended by researchers from a range of British institutions and took place at UCL over two days on the 5th and 6th of September 2013. Each year since its inauguration, the NRN conference has grown and evolved; this marks the first time the conference proceedings have been published. The conference has provided many new scholars with their first opportunity to introduce their research to the academic community. This book, similarly, gives a number of early career researchers a chance to see their work in print and reach a wider audience. The papers, organised into thematic chapters, reflect and showcase the diversity of subject areas, approaches, and methodologies of the Nordic Studies postgraduate research community. Together, they help illuminate larger questions of how cultural, social, and historical identities are mediated through literature, historical narratives, films, and architecture.